For the month of September I decided to treat myself and get a whole bunch of subscription boxes because they all had themes I was interested in. I subscribed to Ever After (romance books), Loot Anime (Anime goodies), DC Legion of Collectors (DC Collectibles), and of course I received my OTSP Secret Sister package. So how did the month go? Let’s look! Description: A monthly romance book box featuring swag, extras, downloadable e-books and print books based around a central theme. Thoughts: I loved this box. As soon as I saw the theme for this month I knew I had to buy it. I’ve been eying Ever After for a while now (since Jeannie Lin, one of the authors who helps curate the box each month, first began talking about this), but the themes have not always been to my tastes. I have pretty specific interests when it comes to romance after all. This box though was right up my alley and well worth the wait. I love the Almack’s voucher and the gaming primer booklet is fab. Additionally the card that describes each piece in the box has tips on how to flirt with your fan on the back as well as some Regency trivia! Subscribing Next Month? : The theme is “Here Comes the Bride” and will feature collectibles and historical romance reads from authors Noelle Adams, Megan Kelly, Sonali Dev, Jeannie Lin, A. S. Fenichel and more. I’m tempted. Description: A bi-monthly themed box that includes an exclusive Funko Pop as well as exclusive DC Comics collectibles. Thoughts: Very cool box and collectibles, though not as varied as I would have liked. I love the shirt (it’s very soft), the Hawkgirl Funko and Wonder Woman’s toy – so for me this was worth the pricetag. I was hoping to see some less publicized Woman (Big Barda? Starfire? Raven?) but realized what with the DC Super Hero Girls line out now, they’d want to subtly tie-in this (intentionally or not). The Batgirl issue is eh to me – I have the collected edition and rarely collect superhero individual titles anymore so I will likely trade this or…I’m not sure really. The pin is pretty! And has classic Harley (who I vastly prefer to any of the new versions…outside of the DC Super Hero Girls version). Subscribing Next Month (Nov)? : Nope! The theme is DC Villains and I just don’t like enough of them to justify the price tag. The next box after that is January, who’s theme has not been revealed, so time will tell if I go back or not! Description: A monthly subscription box based around a theme that includes licensed exclusive anime goods from a variety of series. Thoughts: I LOVE THIS BOX. Aside from Danganrompa (which I’ve never seen and barely know of), everything else is pretty much on point with my interests. I like that it’s a good mix of older anime/manga franchises (Utena, Fruits Basket) and newer franchises (Digimon Tri, Assassination Classroom). 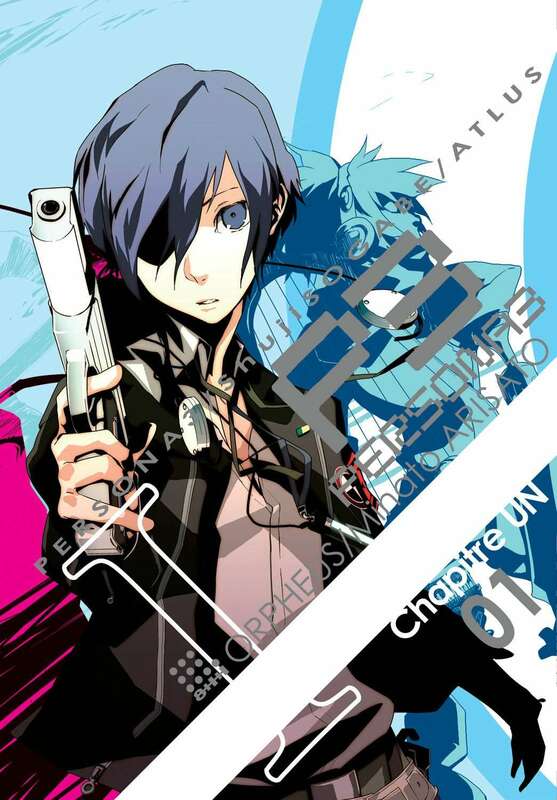 I was initially confused by the Persona 3 manga, until I realized it’s an exclusive cover to the box (for reference, this is what the commercial edition looks like). I will likely never use the Utena bento box as a bento box, but I can store my anime collectibles in it. The tie…I don’t know. A past box had given out a tie as well and I use it as a make shift headband. Maybe I’ll do that here. Definitely worth the money spent. Subscribing Next Month (September)? : Nope! The theme was “Demi-humans” and the thing I like about Loot Anime is they tell you what franchises to expect. None of the ones listed appealed to me, so I decided to skip in favor of seeing what October might be. Description: OTSP Secret Sister is a monthly exchange program in which you get a partner and for 6 months trade letters, gifts and good cheer with each other. September’s Theme: My sister chose “Sleuthing” as the theme! Thoughts: Soooo much love. Firstly, I’ve been wanting to start Wells & Wong for a while now – it seems a real throwback to the mystery girl novels I read when I was younger. The print is proudly hanging in my cubicle at work (damn straight I’ll become a hero if I want to be) and the story behind the patch! So I’m looking into/brainstorming a thing called “BiblioScouts” a sort of Girl Scouts thing for readers. I spoke about this (spit balling ideas with Susan Armund, who is fabulous, go read her book North By Dawn) on twitter and then started working on how it could work out (look up hashtag #BiblioScouts if you’re interested). My Secret Sestra (who isn’t a secret anymore, which is a good thing bc we have so much in common) found this patch (it glows in the dark!) and thought it might make a good tie-in. And having become a diehard planner girl, these stickers are wonderful. I also kickstarted the Ninja Book Box, but that doesn’t come in until November (it’s a new subscription box dedicated to independently published authors, which appeals to me quite a lot thank you), so I’ll make a special post for that when the time comes. So there you have it! October I believe I’ll do OwlCrate (I can almost guess the title chosen) and depending on the theme Loot Anime. And if I’m being honest Ever After is high on the list of priorities. At some point I hope to do Fairy Loot (it looks so pretty, but it’s really expensive at almost $52) and the Book Riot Quarterly (also expensive, but only quarterly so I can almost justify it). Anyone have others I should look into? I’m really hoping a science fiction or fantasy box is out there somewhere (that’s not YA-specific). I like the idea of Muse Monthly, with the book and tea pairing (plus being curated by an author). I enjoyed my June box too (featuring Homegoing by Yaa Gyasi with a lovely Mango Tea, which I couldn’t have, but smells divine), but as a monthly thing I don’t think I could. I’d have to want to read the book (Homegoing was a bit of a dark horse for me, it’s not my usual fare, but hey when Ta-Nehisi Coates says something is remarkable, I’ll listen). Boxes in general, whether book or otherwise, are hard for me to really WANT to do. My tastes are…weird at times. I don’t always want to read the genres I like and swag is something I’m very specific about. I got very lucky with these all to be frank. Hopefully I’ll get lucky again with my next batch.